When I first saw the case, I was not really sure if I would like it. I had similar emotions when I first took the case out of the box. But as I started taking the case apart and working on the build, I started falling in love with it and soon realized that the Shift X is one amazing case that allows for a build as stunning as the case itself. Like a lot of Phanteks cases, the design is very nice and care has been taken to make sure that you have a great build experience. I struggled to find any short comings with the case, and every time I felt like a feature should be present, it was. The build quality is just phenomenal and the case feels like it is worth its price tag. The Shift X feels like a premium product all the way from it’s packaging to the quality of the hardware used and supplied with the case. I feel that the new Shift truly has shifted the case design on it’s head and produced a concept that will look great not just on a desk, but even as a media unit. 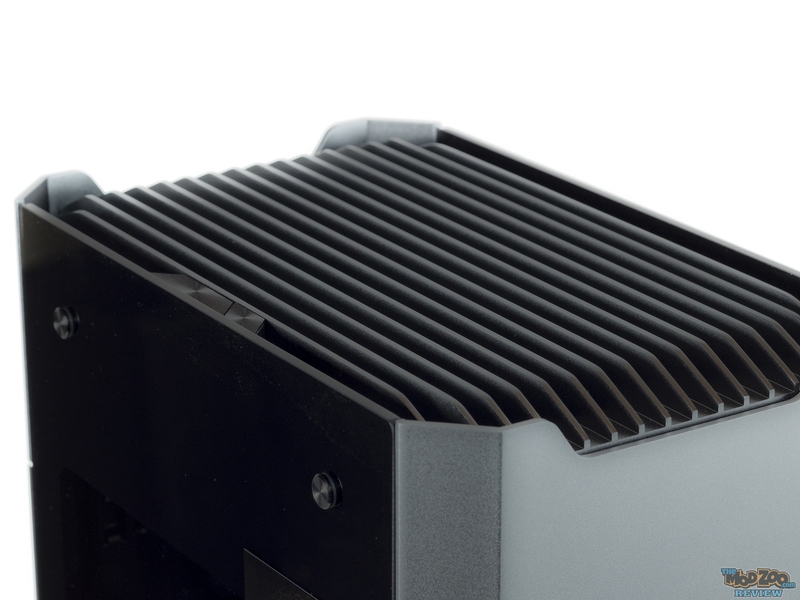 The Shift comes in black and anthracite grey, colors that I feel are perfect for a case that can be used as a really elegant looking HTPC build. The Evolv Shift X has become my new favorite ITX case. I guess this is what happens when you wonder how Phateks will top the Evolv ITX; they just Shift and provide us with an all aluminum and glass case. So if you are in the market for a beautifully crafted ITX case, I highly recommend that you check out the Evolv Shift, and if you like to water cool, check out the Evolv Shift X. Both the cases will look great regardless of where they are used. At $159.99 (at time of review) the Shift X is a bargain, and at $109.99 (at time of review) the Shift is a great ITX case given it’s build quality and features. The Evolv Shift is truly deserving of the highest rating that the mod zoo can offer… 5 out of 5 nanners..